Friday Night at the Baltimore House sounds like a live album waiting to happen, and maybe it will, but for now it’s just an upcoming evening of fantastic (and eclectic) music. The Steel City Jazz Festival is proud to present three groups for your listening pleasure at the Baltimore House on Friday, August 24th: The Cat Bernardi Quartet, COP and Sound One! COP are a three piece group composed of Mohawk graduates Alexei Orechin on guitar, Michael Pratt on bass and Lorenzo Castelli on drums. Their 2010 Poetry Quartet EP, featuring Sal Rosselli on tenor sax, garnered them four Hamilton Music Award nominations. COP’s music covers a wide range of sounds, from ambient to rock, while always maintaing its experimental, improvised character and jazz influence. Personally their music reminds me of Miles Davis’ ‘In A Silent Way’, and I can’t offer much higher praise than that. Sound One will make you dance. 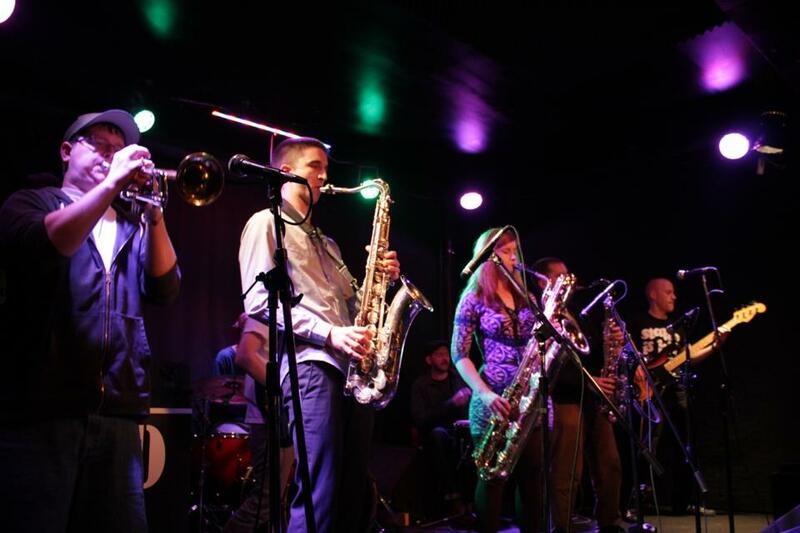 The 9-piece ska band have played at Homegrown Hamilton and This Ain’t Hollywood opening for Lee Fields, Ikebe Shakedown and The Hypnotic Brass Ensemble. If that doesn’t cement their reputation as serious purveyors of danceable, funky music, you might just have to come to the show to see for yourself. The grooves are deep and there’s plenty of space left of top for some killer solos by this group of talented musicians from the Hamilton and Toronto areas. Not to be missed! 9pm, $10. For advance tickets, please email steelcityjazzfestival@gmail.com to make a reservation.